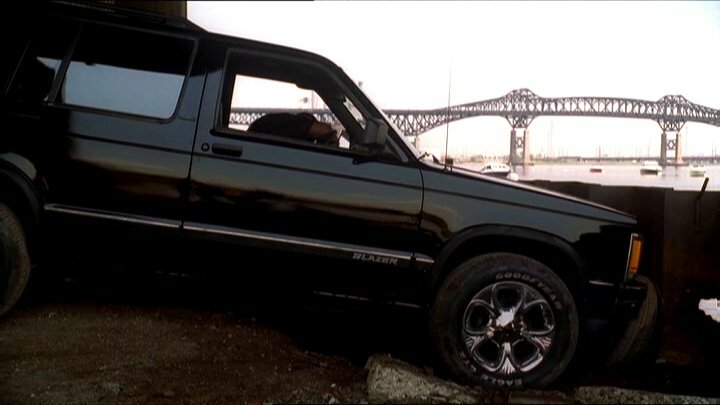 IMCDb.org: 1992 Chevrolet S-10 Blazer [T-10] in "The Sopranos, 1999-2007"
This car was used by Credenzo Curtis (Curtiss Cook) and Stanley Johnson (Universal), the drug dealers/hitmen assigned to whack New York mafia boss Carmine Lupertazzi in episode 4.13 "Whitecaps". The hit was called off and Christopher gave them their payment anyway, but they were killed anyway moments after they got back into their car. 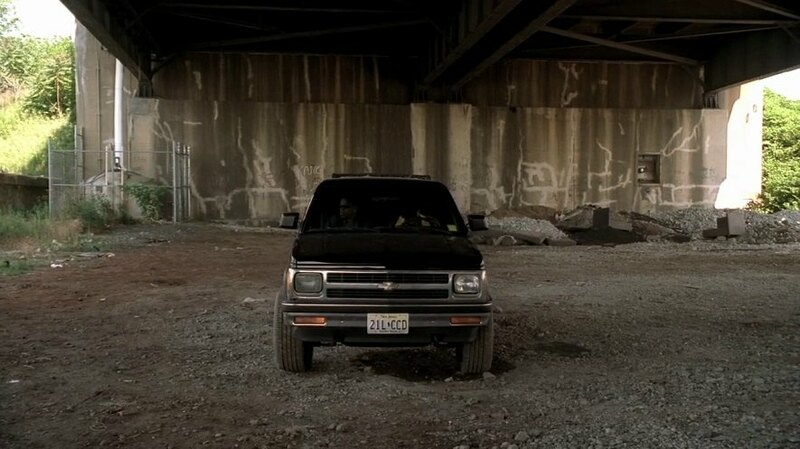 The front of it looks a lot like my Blazer (another new car). 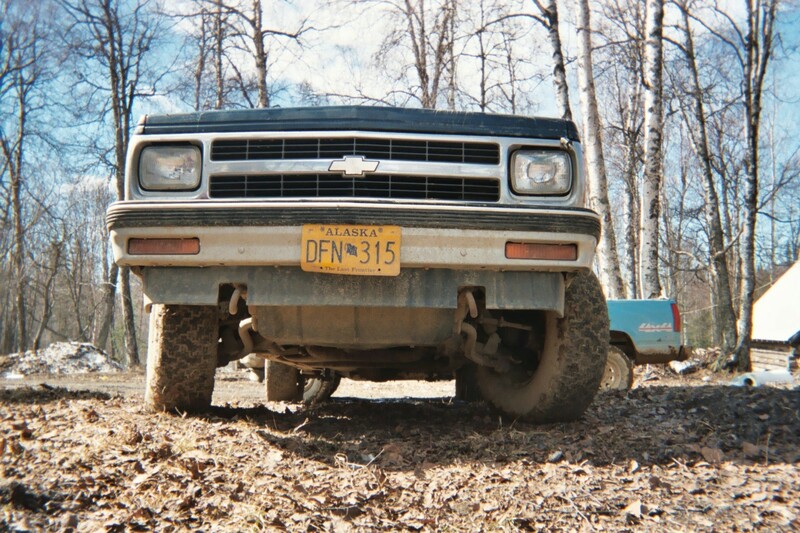 Mine is a 93' two-door. I can't tell the trim level, all it says on the car that it is a Blazer 4X4 (excluding the Chevy badges).